There is a lot of Sydney Accommodation available, but finding the right hotel at the right price, can sometimes be an issue. We have built our site to accommodate that need. We enable you to search for accommodation or browse through the available places to stay in our accommodation page. You can also use our Sydney Travel Planner to plan out your Sydney Holiday. 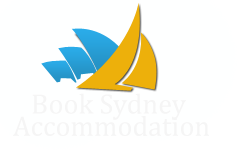 When looking for Sydney Accommodation you can simply browse the wide range of Hotels on offer or search from above. There is more to Sydney than kicking back at your lovely Sydney Hotel. You can get out and about and experience all the things to do in Sydney. There is so much on offer in Sydney.